Iesha joined Dr. Jodi at Family First Chiropractic in September of 2017. Since joining Dr. Jodi she has gained a new love for chiropractic. Iesha has had care in the past many years ago but because of the lack of knowledge and guidance she stopped care. Now that Iesha is part of the Family First Chiropractic team she has been learning and will continue to learn anything she possibly can about chiropractic, prenatal, pediatric, and wellness care while staying well adjusted. Iesha has earned the reputation as the "baby whisperer" in the office, as a mother herself she is able to use the same loving and caring energy with all of our office babies. She creates a relationship with all of our little's that come in and strives to make sure each and every child is comfortable and cared for when they or their parents are receiving care. 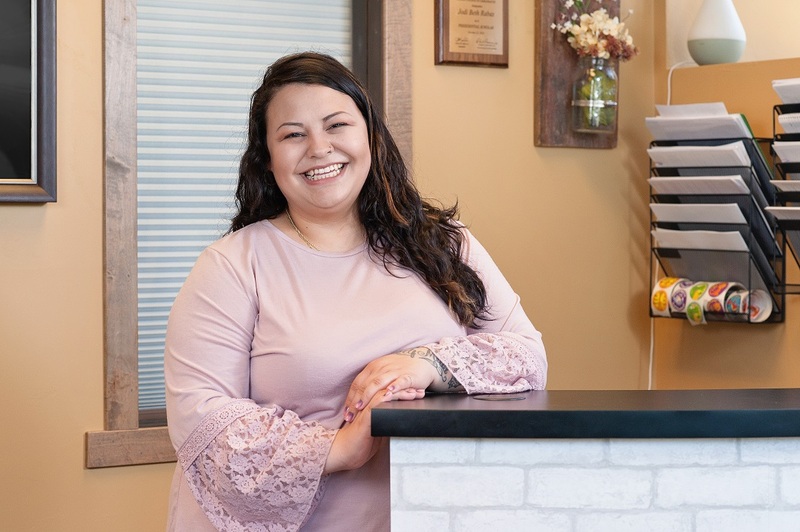 She takes pride in knowing that the parents that come into our office are trusting and comfortable with her caring for their children as she does her own. When Iesha is not making every experience easier at our office you can find her out and about with her Fiance and their almost 4 year old daughter creating memories and living life to fullest! Iesha plans to continue learning about chiropractic so she can continue to be more and more knowledgeable for all of our patients!